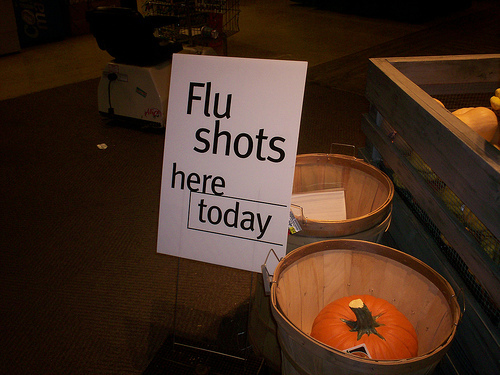 How Serious are This Year’s Seasonal Illnesses? The Ebola virus is the current headline-making illness, with the terms “epidemic” and “panic” appearing over and over on the evening news. We feel like we have been down this road before, when the swine flu and mad cow disease were the diseases everyone was afraid of. Should we be taking special measures to protect ourselves and our senior loved ones from Ebola, or can we assume that we are safe? While we seek a balanced, prudent approach to this mysterious new threat, doctors want to make sure that we don’t fail to address more everyday dangers, like the current flu season. Despite the media attention, it is important to remember that less than a dozen people are known to have been sick with Ebola in the United States. None of those cases have been close to California, and the virus is not easy to catch. Since your elderly parent is probably not a health worker spending lots of time in direct contact with Ebola patients, you can probably cross Ebola off his list of immediate health concerns! Your efforts to keep your loved one healthy would be better spent fighting illnesses like pneumonia, bronchitis, heart disease, diabetes, and the common cold, all of which can escalate dramatically in a senior’s body. The flu season is imminent, and being prepared for it ahead of time is the best way to reduce its threat. If getting your senior family member to a flu shot location is a problem, consider having an in-home caregiver provide safe, friendly transportation. It’s easy to overlook the flu shot when everyone is healthy and the flu doesn’t seem like an immediate threat, but you know what they say—an ounce of prevention is worth a pound of cure! With family gatherings, church parties, and other social events scheduled throughout the holiday season, seniors face an increased risk of catching a bug from someone. If your loved one is planning to spend time socializing, be prepared with hand sanitizer and an alertness to anyone who seems to be under the weather. Sometimes friendliness must take a back seat to illness prevention! As always, make sure that family members who are sick do not visit a senior’s home until they are no longer contagious. A senior’s immune system needs intentional, careful support in order to ward off the many diseases that it will encounter during flu season. Your elderly parent may not have to fight off Ebola, but his defenses are constantly working to protect him from the germs we can’t see. Vitamin-heavy vegetables, fruits, and lean meats should dominate his diet, and his doctor may recommend supplemental nutrition if necessary.